The Lochbrow Landscape Project will not be undertaking any fieldwork this year. However, one of the project team will be in the Lochbrow area in a couple of weeks’ time and would like to invite any former volunteer or interested person to an informal gathering and update on the project. This will take place on Saturday 9th September from 7pm in the King’s Arms Hotel, Lockerbie. Feel free to come if you have volunteered at Lochbrow in the past or are interested in the project. This will be very informal, but will be a chance to catch up with old friends and chat through the progress of the project. The eagle-eyed among will have noticed that the Lochbrow blog has been very quiet for the last year. This is because, for a number of reasons, the Lochbrow team have decided to take a break this year from active fieldwork at Lochbrow. There has, therefore, been no 2016 field season. This doesn’t mean that the team have been inactive. We’ve been working at Lochbrow since 2010, which means we have gathered a lot of data and information. Our main priority at the moment, therefore, is to work with all the information we have gathered over the years, interpret and publish that work. It may take a while for those outputs to be completed and available, but we’ll do our best to keep this blog and the rest of this website up-to-date with progress and also any plans for the future. For those of you who are missing the silliness of Lochbrow project updates. Here are some photos from the archives that may help ease that feeling of loss…. Team photo at the end of day 3 (it was a long day!). … and go! Survey begins again. Julian and Morag. 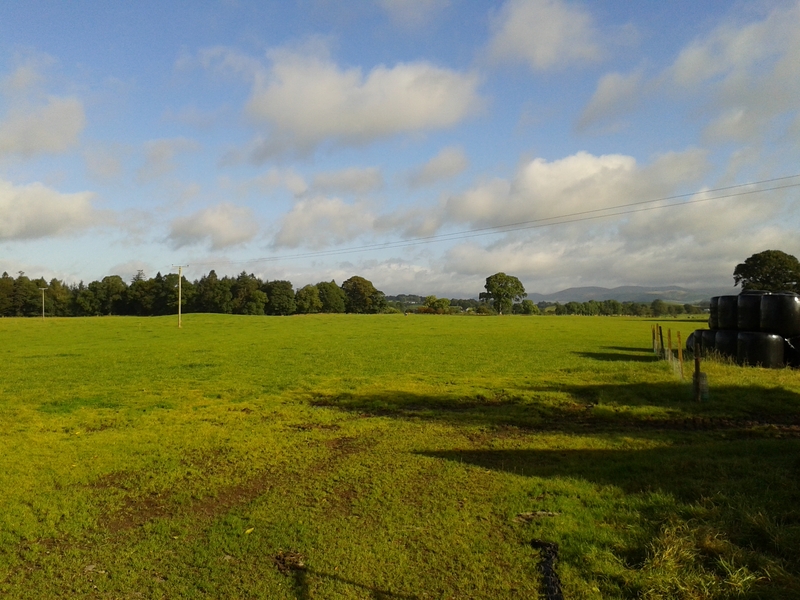 Missing the Lochbrow Landscape Project? Feel like you missed out or need to catch up on what we got up to last week? Then I’ve storified all of our #Lochbrow2015 tweets just for you! To follow our Lochbrow 2015 twitter story, just click on the link below. 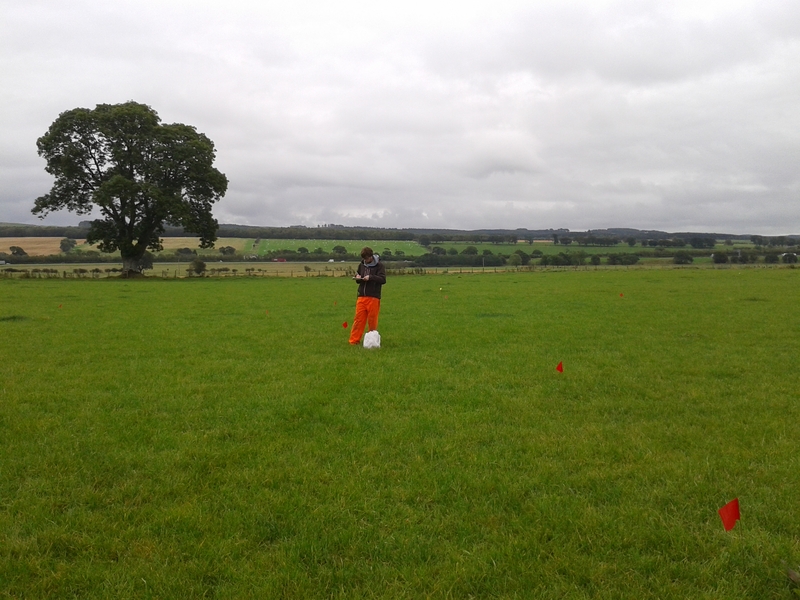 Another week’s survey at Lochbrow has now been completed. 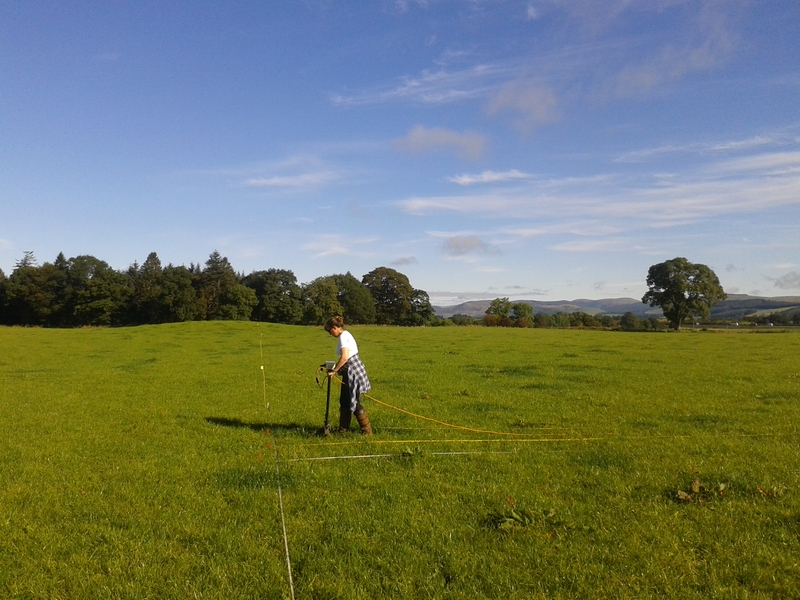 On Saturday, we finished our last couple of survey grids, collected in all the bamboo canes marking the locations of the survey grids and flags signalling the extent of the archaeology, packed up and drove away from Lochbrow for another year. We made good progress over the last few days of fieldwork, and altogether it has been another successful year. The weather was generally very kind to us, and thankfully we weren’t washed away by the rain as originally feared! We’ve now surveyed the full length of the cursus with resistivity, as well as the rest of the timber circle (most of it was surveyed last year, identifying the post pits of this monument) and we’ve filled in some gaps in our survey. More work is required to make sense of the data gathered, but we remain excited by the identification of the timber cursus in the data, though a little puzzled by the way in which it is showing. Hopefully further study, discussion and comparison with the aerial photographs and magnetometry data will add some clarity. 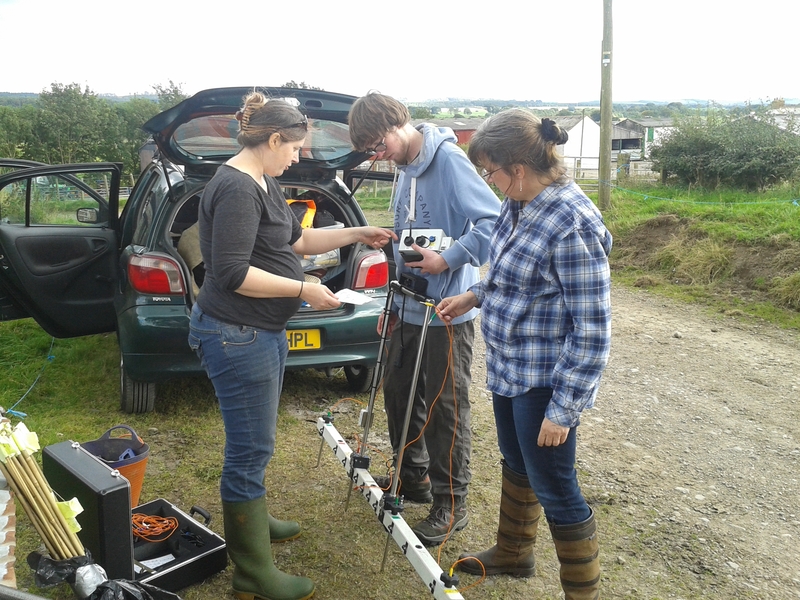 We also continued with our experiential survey and hopefully now have sufficient observations for the north field. We also began to make some observations in the south field. 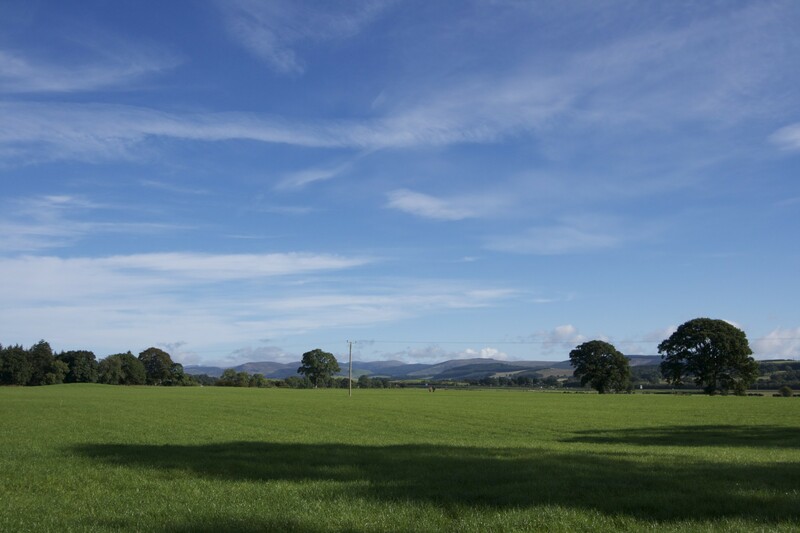 Considerable work is now required to make sense of and to present the information and observations gathered, but they have undoubtedly already added to our understanding of the sites at Lochbrow and the landscape of which they are a part. 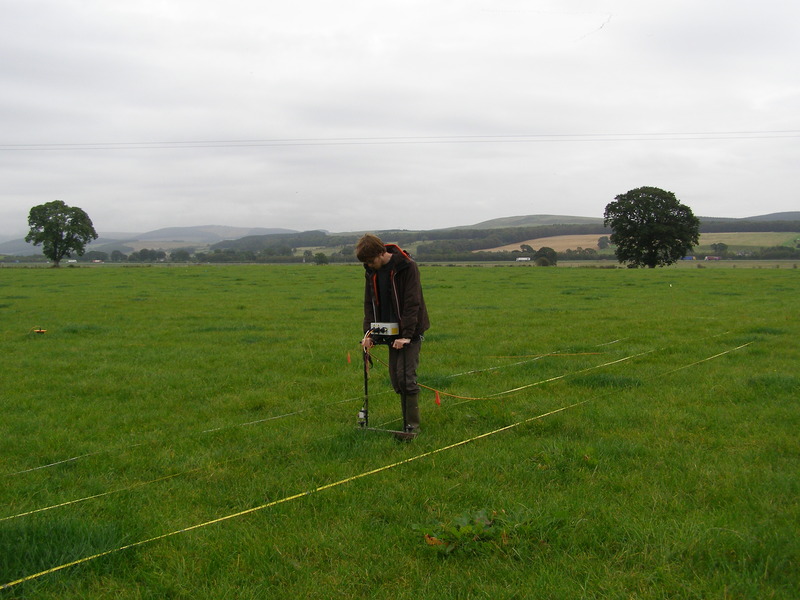 The experiential observations add another layer to the data gathered through aerial and geophysical survey, expanding beyond data to the human, experienced, elements of the Lochbrow landscape. This can only add to the richness and depth of our understandings and interpretations of Lochbrow. 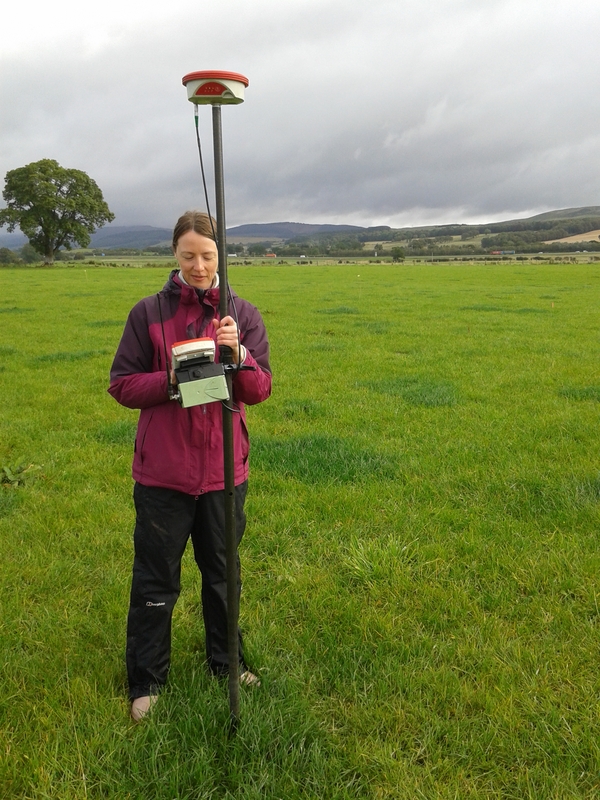 In an unexpected turn of events, on Friday I (Kirsty) ended up surveying a rather unusual set of features … When we arrived at Lochbrow this year, we observed lots of patches of darker green, longer grass. As we have lots of low-resistance pits scattered across the resistivity data, representing natural features in the drainage of the gravel terrace here, we wondered if these areas of longer grass marked the location of these pits. They were certainly curious and very marked this year, more so than in previous years. So we used the GPS to survey in the location of all of these patches in one of our survey grids to compare with the geophysical data gathered. 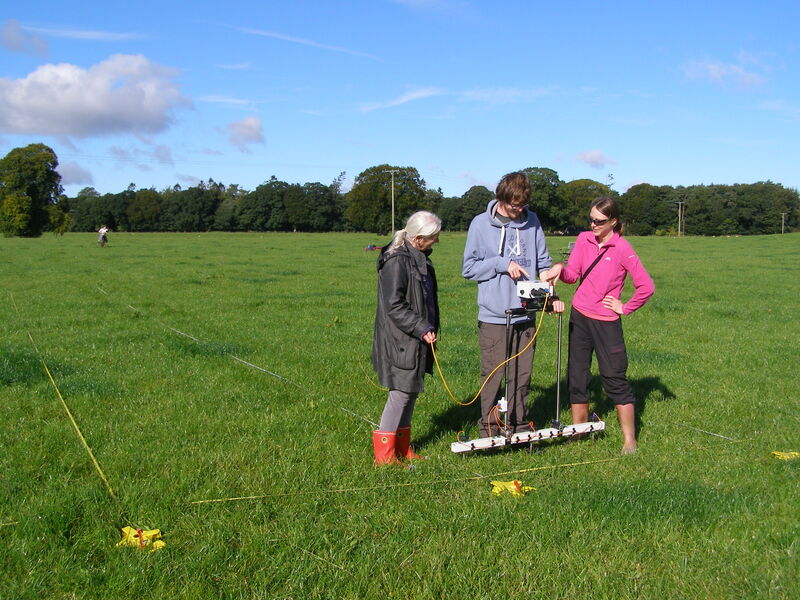 Although we’ve not yet compared the survey points to the geophysical data, while surveying the patches of grass we quickly came to the conclusion that they in fact represent the current and former location of cow pats! 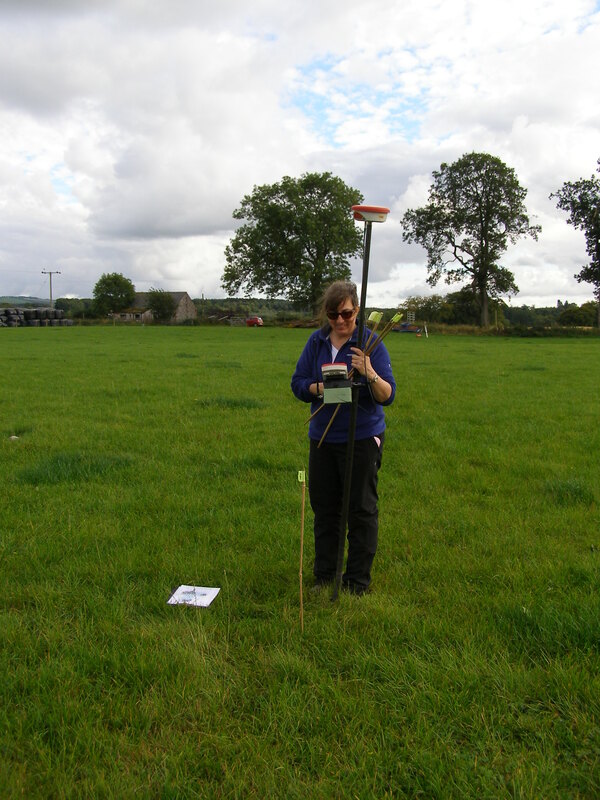 It has solved a puzzle, but surveying the location of cow pats is certainly one thing I never thought I would do in my archaeological career. The Lochbrow cows definitely must have a very good diet …..! 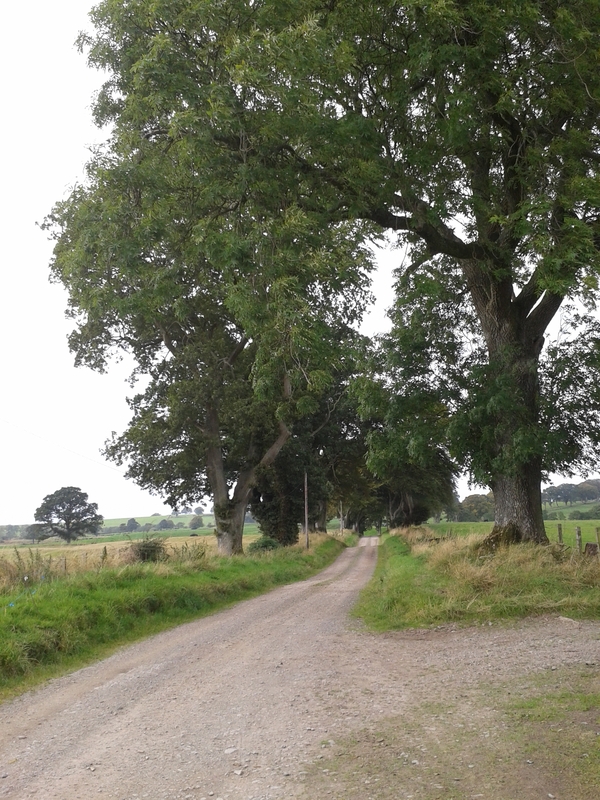 So that is the Lochbrow Landscape Project over for another year. It has been hard work, but fun with exciting results. We’ve got plenty now to work with over the winter and several puzzles to resolve. This year Lochbrow has given up more of its secrets – it never fails in that regard – but it definitely does not give them up easily. That is part of the challenge of investigating this place and of spending time within this landscape. Lochbrow is such an amazing place with so much still to tease apart, so it always is with some sadness that we wave goodbye for another year. Of course, none of what we have achieved would have been possible without our small band of volunteers, and we are immensely grateful for their hard work and input. We are also very grateful to the Lochbrow farmer, David Wilson, for being so accommodating each year. Thanks to each one of you. It was a real pleasure. Yes, I really am surveying the location of cow pats!! Note the darker green patches of grass in the background. These puzzled us for a short while …. The road home. Goodbye to Lochbrow for another year. We’ve had a good few days at Lochbrow. The weather yesterday (Wednesday) wasn’t as bad as was forecasted, so we made good progress surveying the line of the cursus. When we downloaded the data at the end of the day yesterday, there were tantalising glimpses of additional features and perhaps even the line of the cursus beginning to show in the data. Another good day today means that progress has been even better and, when we added the data gathered today to that gathered previously, it became obvious that we have indeed detected the cursus boundary. We still need to get the data into a GIS and compare it to the interpretation of the cropmarks, but it is possible that our geophysical data is filling in the gaps in the cropmarks. This is thrilling and more than we could have hoped for. There’s more work to be done, but this is a very pleasing result. We’ve also been continuing with our experiential survey and have covered a lot of ground so far. This will help us build up a picture of changing perception across the landscape and to consider the way in which sight and sound alters across the landscape. 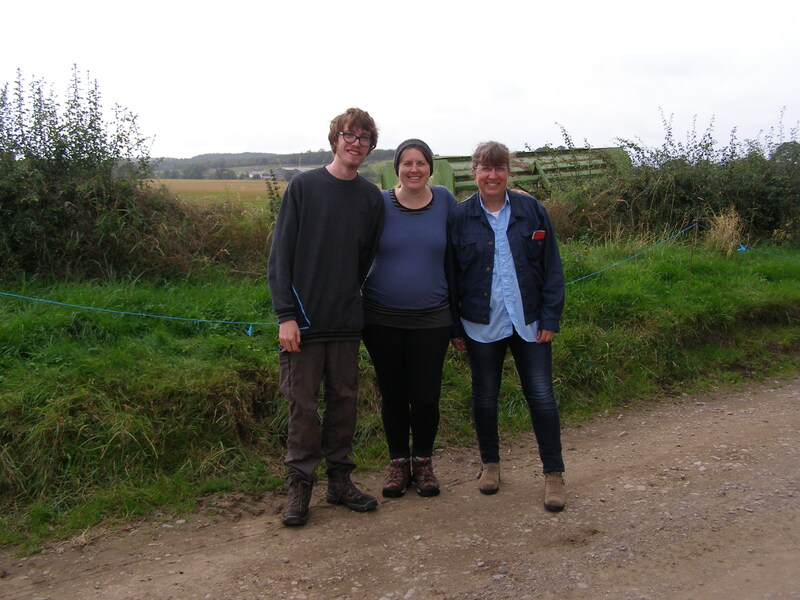 As part of this we’ve flagged out the archaeological features in both fields including, for the first time, the later prehistoric palisaded enclosures in the south field. This has revealed some interesting aspects of their location which weren’t obvious before, giving us new insights into these sites and their landscape location. All in all a successful few days. Hopefully our final couple of days will go so well. So that’s it. 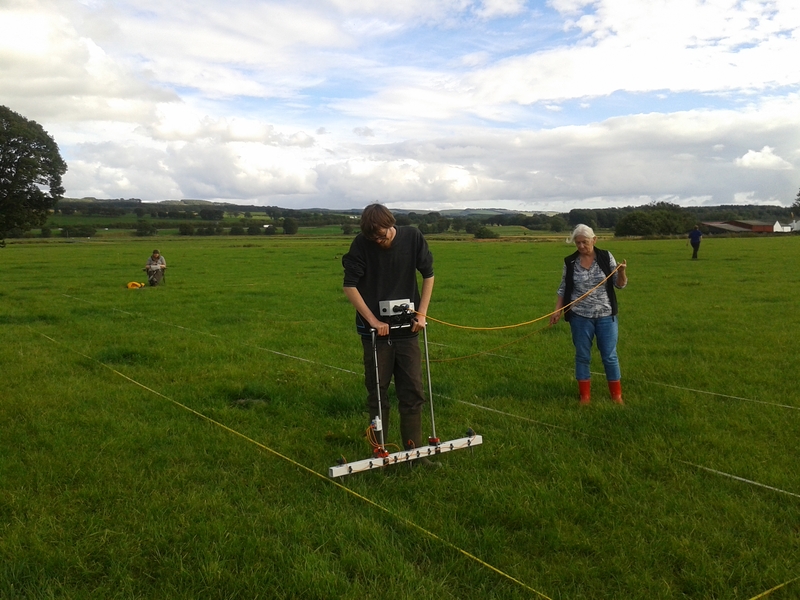 We’re almost ready for another season of survey at Lochbrow. A few of us arrive tomorrow to begin set-up, and then we begin in earnest on Sunday. What will 2015 bring? Will it reveal or clarify more of the buried archaeology at Lochbrow? Or give us more puzzles? Will we be washed away in the rain? Or will we just get a little damp? Who knows! What’s certain is that we’ll have a great week and the data we gather will add to the picture of Lochbrow that we’ve built up to date. 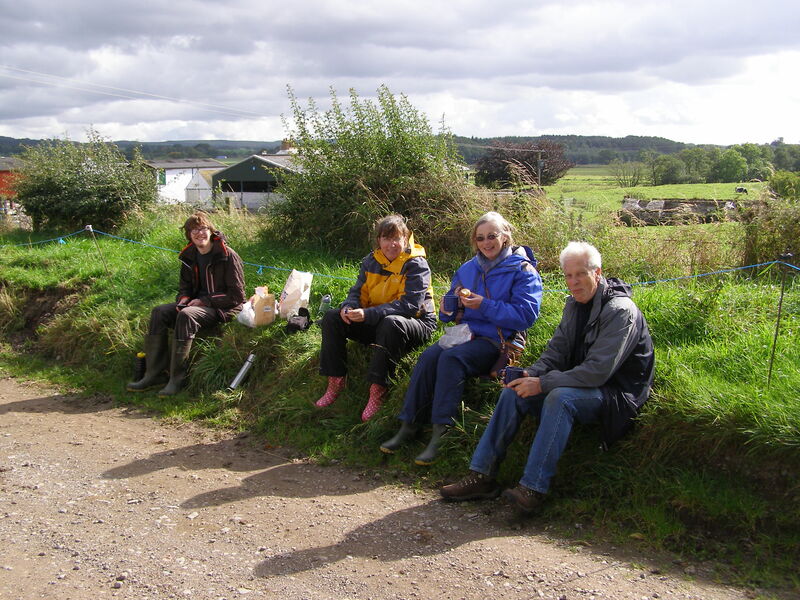 We have a number of volunteers joining us at various points during the week, and it’ll be lovely to catch up with long-term volunteers and to meet a few newcomers to the Lochbrow Landscape Project. We are immensely grateful for all our volunteers and all the hard work they always put in for us. Without wifi in our accommodation, updating of this blog will be delayed. But never fear! Blog posts will be written during the week, they’ll just be posted when we return to civilization. We’ll be tweeting during the week – just follow the hashtag #Lochbrow2015 to keep up-to-date. Here’s to another good year at Lochbrow! What will these fields reveal this year? Will the sky be as blue as this? How much rain will we have to endure? So many questions going into Lochbrow 2015! 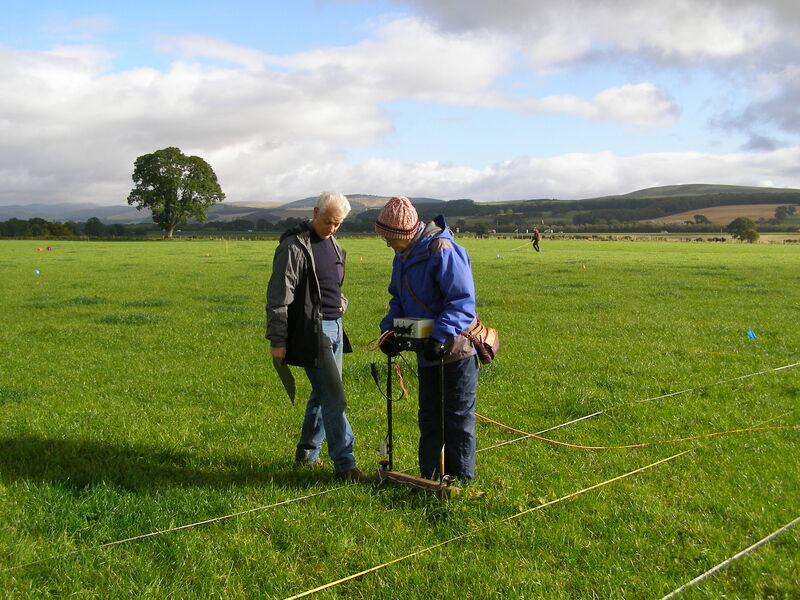 We are pleased to announce that the Lochbrow Landscape Project will be returning to Lochbrow for another season of survey from Sunday the 20th of September to Saturday the 26th of September. 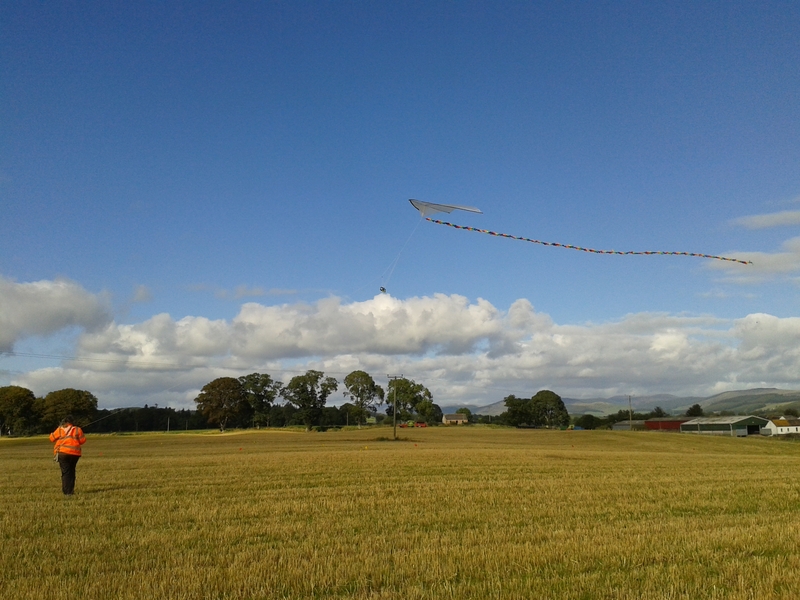 We are happy to accept volunteers, both from Dumfries and Galloway and further afield, to help us with our surveys. No experience is necessary as full training will be given, though you should be prepared to be outdoors in all weathers. The work will involve assisting with geophysical survey, which will include setting up survey grids and walking with the equipment, therefore a decent level of fitness is required. You will have to provide your own accommodation and transport. If you are interested in archaeology and would like to get involved in a research project, then we would love to hear from you. Places are limited, so get in touch by emailing us or leaving a comment. We are thrilled to announce that we have received funding from the Royal Archaeological Institute for the year 2015. With this funding, we will be able to undertake our fieldwork at Lochbrow in September 2015. Watch this space for more announcements, but if you want to reserve a place to work on our site, please leave us a comment!